There are several types of airport maxicab services offered to suit the needs of our customers. For corporate and first time travellers, we provide the premier Meet and Greet service where our drivers will personally pick you up from the arrival gates with your names written on the cue cards. 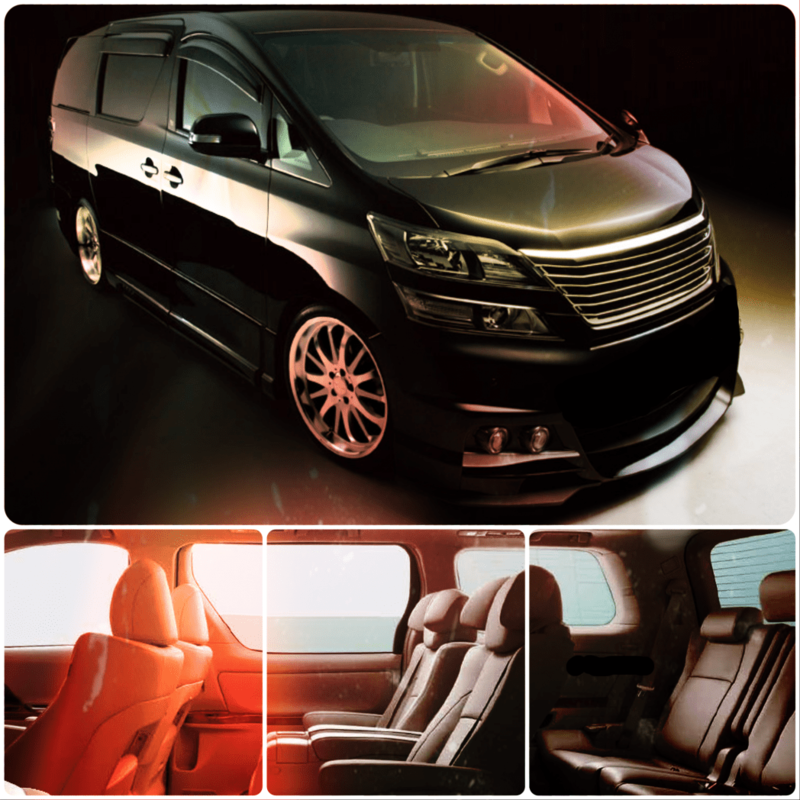 This premier services is usually chosen by companies to pick up their corporate clients arriving in Singapore, giving them the assurance that their clients are well received and taken care of from the point of arriving at the Changi Airport to reaching their respective hotels. For those who frequently travels to Singapore or Singaporeans are coming back to Singapore from vacations or business travels, we would recommend our basic arrival pick up service. For this basic service, our drivers will wait for the customers to call after they have collected their luggages before proceeding to pick the customers from the designated pickup points. All our maxi cabs are available 24/7 around the clock for airport departures. We also provide 24hrs express maxi cab services for customers who needs to travel overseas on last-minute notice. With our savvy booking systems and variety of booking channels, we will be able to handle immediate bookings swiftly. Upon confirmation,we will be able to locate and activate the nearest available maxicab to proceed to the pick up address within 5 to 15 minutes. This enable us to always provide fast, efficient and very reliable transportation services to our valued customers. MaxiCABooking SG also provides hourly disposal for city tours around the Lion City. These tours will usually take approximately 3 to 4 hours. Our experience drivers will take you to different popular attractions across the city. Some of these attractions include Singapore’s icon The Merlion, cultural sites like the Chinatown and Little India and also not forgetting the latest UNESCO Heritage site, our very own Singapore Botanical Gardens. For first-time tourist visiting Singapore, we would recommend our value for money Maxi Cab Hourly Rates. Our driver will be on-standby at last drop off point, ready to go when you are thus enabling you to save time looking or waiting for your transport. Maxicab services is not just about airport and city transfers. Professional and leisure cyclists would also book a maxi cab to transport their bicycles to and fro from parks and trails. 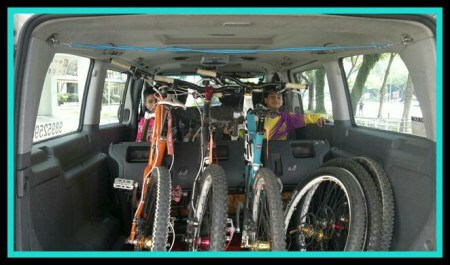 A 7 seater Maxicab could fit up to 3 passengers along with their 3 bicycles. You can also transport long and bulky items bought from megastore like Ikea and Courts hassle-free without having to wait for the stores next available delivery date. Simply call our Maxi Cab Hotline and we’ll send the nearest Maxicab or Minibus within the next 5 to 15 mins. Call us to book a Maxi Cab or for more information in regards to our services. Our friendly operator will assist you 24×7. 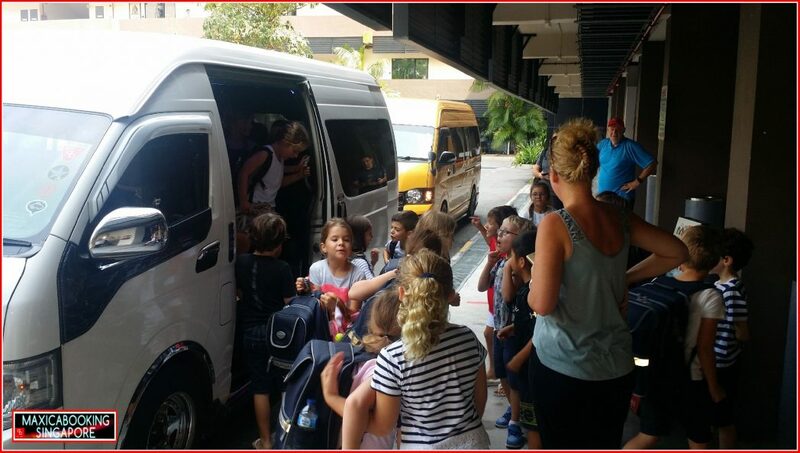 13 Seater Mini BUS or Party BUS Toyota Hiace and more..
Airport transfers – Available for both departure and arrival. Our arrival service comes with the basic pickup and also the premier Meet and Greet service which is strongly recommended for first time travellers and corporate clients. Hourly charter – Our value for money packages which is ideal for tourist to explore the Lion City, weddings and for corporate clients transportation to company meetings. The package is also recommended for trips that require multiple extra stops and waiting time. This entry was posted in maxi cab, Maxi CAB Services and tagged large taxi services, maxi cab booking services, maxi taxi services, MaxiCab Services, singapore maxicab services. Bookmark the permalink.